Be part of the team whose mission is to assist women and children escaping domestic violence. OUR OP SHOPS SUPPORT AND ARE PART OF SONSHINE SANCTUARY ASSOCIATION INCORP. Sonshine Sanctuary is a Christian organisation providing safe crisis accommodation and holistic support to all women and their children escaping from domestic violence and associated issues. Sonshine Sanctuary assists women and children to meet their immediate needs, and provides an environment of positive attitude to enable the cycle of violence to be broken. Issues associated with domestic violence are homelessness, poverty, isolation, poor emotional and/or physical health, low resilience, an inability to care for children, generational violence, etc. Sonshine Sanctuary is staffed by volunteers, with the exception of our Team Leader/s, and does not receive any Government funds. Sonshine Sanctuary needs an annual income of more than $100,000 and and our Op Shops provide a portion of this income to assist women and children. Be a part of the team whose mission is to assist women and children escape domestic violence. Work with courtesy and consideration of others. Help on the front counter serving customers. Help with the sorting of goods, the pricing of goods, and ironing. Help with the daily routine tasks and cleaning of premises. Be taught the money handling, shop opening & end-of-day procedures. Be reliable in their commitment, communicating with the Shop Coordinator if there are any problems. Be a committed Christian and/or able to work within a Christian environment. To value and appreciate your volunteering time & effort. To give clear training and a safe, healthy workplace. To carry adequate insurance for volunteers. To conduct an open consultative workplace, and listen to any suggestions made by volunteer staff. To preserve the dignity & wellbeing of all personnel by best practice management and compliance with a fair code of conduct. 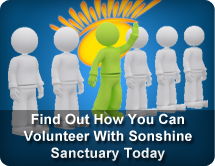 Sonshine Sanctuary subscribes to codes of volunteer engagement. A SENSE OF INVOLVEMENT IN A TEAM. The annual cost of domestic and family violence to the Queensland economy is estimated to be between $2.7b and $3.2b [Bryce Task Force Report 2015]. It has been identified that where there is domestic violence in the home there is likely to be child abuse occurring – in fact domestic violence is a form of child abuse. Intimate partner violence contributes more to the health burden of the population of women than illicit drugs, alcohol, physical inactivity, body weight, cholesterol, blood pressure or tobacco. The greatest health burden is associated with mental health problems, including suicide, drug use and risky levels of smoking and alcohol consumption. Women and children are often forced to leave their homes to escape domestic violence. They face not only the loss of their homes but also the disruption of their social support, as well as children’s schooling and social networks.